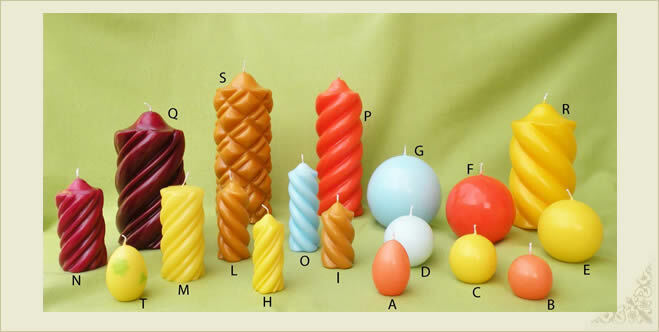 Wide range of colours and sizes for our spiral candles and spheres. 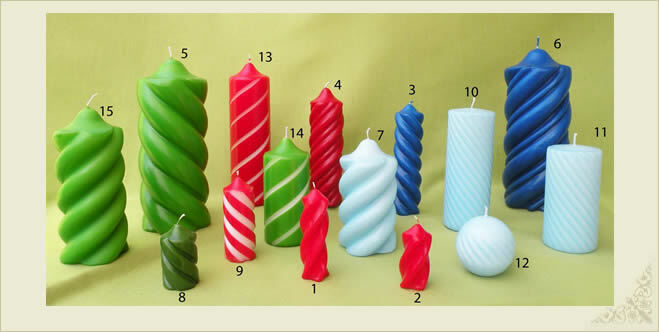 The traditional craft milling of the candles (which initially are realized cylindrical and and subsequently machined with hot-cutters) creates different forms of spirals from which nice twists. For any further information you may need, pls., do not hesitate to contact us.